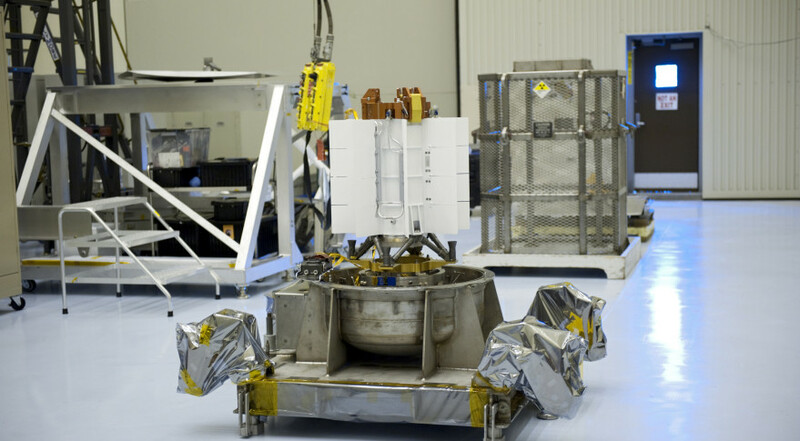 WASHINGTON — While NASA and the Department of Energy (DOE) have restarted production of a plutonium isotope used to power some space missions, a new report warns of challenges that could threaten its long-term supply. Oakley said that DOE lacked a long-term plan with milestones to show progress towards its ultimate goal of producing 1.5 kilograms of plutonium-238 a year by 2025. She said the department has accepted recommendations in the GAO’s report regarding better communications with NASA on these issues. NASA and DOE began an effort in 2011 to restart plutonium-238 production, last made in the U.S. in the late 1980s. An initial production campaign in 2015 produced 100 grams of isotope, said Tracey Bishop, deputy assistant secretary for nuclear infrastructure programs at DOE, at the hearing. A second batch will be completed later this fall. Plutonium-238, or Pu-238, has long been used by NASA in radioisotope thermoelectric generators (RTGs), which convert the heat produced by radioactive delay of the isotope into electrical power. The agency has used RTGs on many missions where solar power is not feasible, including those into the outer solar system. There is about 35 kilograms of plutonium-238 in current U.S. stockpiles available to NASA, said David Schurr, deputy director of the agency’s planetary science division, an amount that includes plutonium purchased from Russia. Of that amount, 17 kilograms is ready for use now, while the other 18 kilograms would need to be mixed with new plutonium in order to be viable for use in RTGs. Only one NASA mission currently in development requires an RTG: the Mars 2020 rover, which will use an RTG similar to that powering the Curiosity rover. NASA is making available RTGs for the next New Frontiers medium-class planetary mission, which the agency plans to select by mid-2019 for launch in 2025. Several factors beyond the needs for planetary missions could affect the available supply of plutonium-238. One is the development of more efficient alternatives to conventional RTGs, known as dynamic converters, that could generate the same amount of power using less of the isotope. One concept, the Advanced Stirling Radioisotope Generator, could produce the same amount of power as an existing RTG using one-fourth the plutonium. “Certainly the idea of being able to have a dynamic converter is something that we’ve been talking about for a long time,” said Ralph McNutt, chief scientist for space science in the space exploration sector at the Applied Physics Laboratory who co-chaired a 2009 study on the future of radioisotope power systems. “The problem is these have always fallen short” for technical reasons. Another issue is potential additional demand for plutonium-238. NASA’s projected demand for the isotope dropped from 5 to 1.5 kilograms a year after the end of the Constellation program, which forecast the need for power systems to support human lunar exploration, McNutt said.